This page is a summary of how I healed my scoliosis, pain, and bad posture through naturopathic treatments. Good posture is not just a matter of will power or forgetting to stand up straight. It is often physiological—in the body—as well as in the mind. People get scoliosis in different ways. Sometimes they are born with it, or it may begin in childhood with accidents that whip or crunch the spine. Children are said to reach skeletal maturity in the late teens. They can heal easily from minor injuries, however if there is a bad blow to the spine that goes untreated, a child's body learns to compensate for the injury. This may result in scoliosis and lifelong bad posture. Doctors routinely classify scoliosis as "idiopathic," which means they cannot pinpoint the cause. In my case, it could have been genetic from my father's side, or it could have been from (or gotten worse from) a near car crash when I was two. My mom had to slam on the brakes and I flew into the dashboard. It was before the era of child car seats. Then in first grade, the school nurse told me diagnosed me with scoliosis. However, I did not take it seriously and forgot about it. This is how my spine looked in 2009 when I went into chiropractic care. By the time I got this x-ray, my spine had been frozen in perpetual memory of the accident for more than fifty years. Note how even a ten degree bend can seriously affect a person's posture. The doctor who diagnosed and cured me is Dr. Willie Kindred, one of the first chiropractors in Tempe, Arizona. Click here to visit Kindred Chiropractic in Tempe, Arizona. Those who are blessed with lifelong good posture naturally feel more self-confident and loved. They may never even realize what they've got, but they look healthy and strong. People with bad posture may grow up with friends who nag them to hold their shoulders back. They may feel left out and unpopular, like they must be from another planet. Due to poor self-esteem they are more vulnerable to abuse and may also blame themselves for other people's problems. Seeing a counselor can help the patient put things in perspective and get a more positive outlook on life. I had many of the typical symptoms, but was fortunate to see a counselor during the years I was healing my scoliosis. The photo above (left) turned up on Facebook recently. 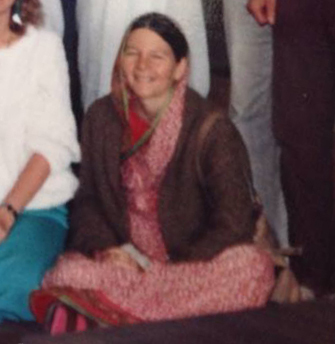 It was taken in the mid-1980s at the Los Angeles Hare Kritter temple, before I had ever met a chiropractor or massage therapist. Although I appear to lean in and toss my head back, that look is due to the scoliosis. Luckily, the sari hid my bad posture somewhat, so I suppose most people didn't notice it. I wasn't even aware of it myself. I never recognized it as a problem until 2009, when I started to get chronic neck and back pain. 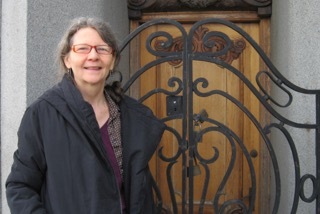 The photo on the right is from 2015, after five years of naturopathic treatments. The most essential treatment is chiropractic. When I used to go to chiropractors for pain relief, I thought I had a few vertebrae that would pop out and hurt, so a chiropractor simply popped them back in. Now I realize that is incredibly naïve. The actual process is to coax the spine back to its intended natural alignment. It happens through many slight adjustments over years, not weeks or months. The older a person is, and the longer the misalignment has been in place, the longer this process can take. That is because the muscles have compensated for the misalignment, and the bones have grown calcification around them to hold everything in place. It may be less noticeable when a person is young, but years of misalignment usually leads to chronic pain later in life. Massage therapy helps with pain and is essential to realign the muscles along with chiropractic care. Starting regular chiropractic and massage may relieve the acute pain within a few weeks. However, it takes time to restore the natural spinal curve and good posture. In my case, it has taken years of seeing the chiropractor, lots of exercise, and focus on healing. A daily stretching routine allows the muscles change to accommodate the new healthy alignment. The best forms of exercise for curing scoliosis are yoga, qigong, ballet, and hybrids of these forms. For example, Classical Stretch, by former professional ballet dancer Miranda Esmonde-White, is a combination of ballet, yoga, and taiji. Counseling is essential because it gives the patient a chance to talk to someone about the common psychological symptoms of scoliosis. Diet and lifestyle count because the body needs nutrients and detoxification to heal itself. A regimen of naturopathic treatments may still fail if the patient is eating junk food, smoking, and drinking too much. Instead, eat organic fruit, veggies, whole grains, fresh light oils that contain essential fatty acids; take vitamin c, d3, calcium, and probiotics. I am putting this statement on the Internet to tell people that naturopathy works. Insurance usually doesn't cover it, so natural care may be completely out-of-pocket. However, over a lifetime, the natural path may cost less than co-pays, deductibles, and prescriptions, and you will look better, and save yourself a lot of pain. Someday insurance companies (or a future government single payer system) will value natural healing and offer chiropractic, massage, exercise, and counseling as preventive care. Even if it takes five years or more to heal, the natural way is more cost efficient in the longrun. Plus, insurance already pays for exercise, because they usually put patients through physical therapy after surgery. Some chiropractors only relieve acute pain, while others work to restore the spine to it's natural alignment. In 2009, I was fortunate to meet Dr. Kindred, who diagnosed my scoliosis, and said he knew how to cure it. Exercise is one of the pillars of healing scoliosis. Any stretching form, such as yoga, ballet, or qigong would probably work. 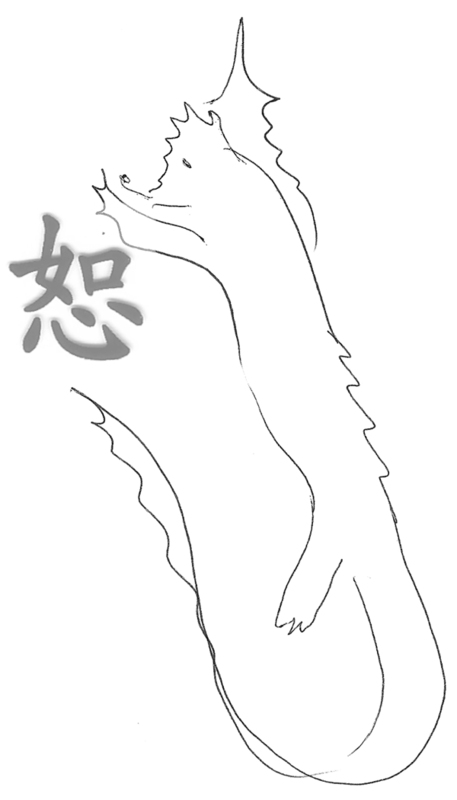 I happened to heal with qigong. Since 2012 I have been a student in two different qigong groups. Recently one of my teachers asked me to write an article about how qigong helped me, and it is now posted online:Qigong 18 Style website. 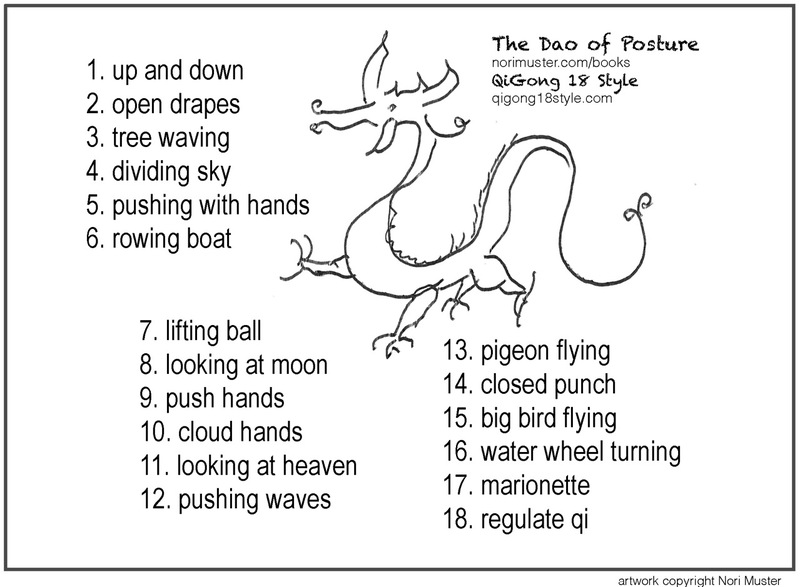 Qigong 18 Style is a ritual of eighteen gentle movements, based on ancient forms of qigong, that takes twenty minutes. Visit qigong18style.com to learn more, and purchase the instructional DVD. In 2017 I had a second set of x-rays that show a great deal of improvement in my back. 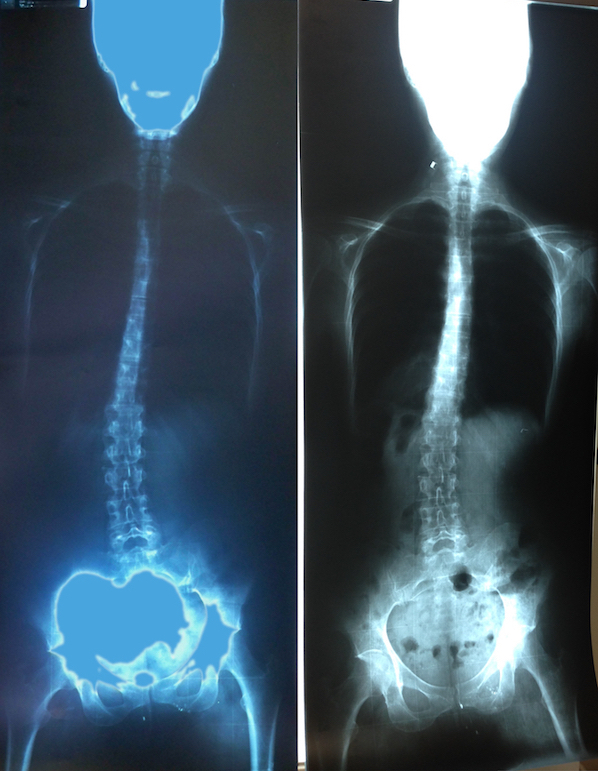 In the left x-ray, taken in 2010, my pelvis is twisted and torqued beyond recognition. The spinal cord is stretched out and unhealthy, as well as twisted and torqued. The right x-ray, taken in 2017 after years of chiropractic treatment, shows signs of improvement. The pelvis is now straightened out and healthy. I still have the ten degree bend in my spine, but the vertebrae are neatly lined up, and appear stronger and more flexible. The pelvis is still high on the right and my shoulders are still low on the right side. This is due to compensating for the ten degree scoliosis curve. Although the overall bend and imbalances are still present, enough healing has taken place to reduce episodes of pain and make my posture look much more normal.